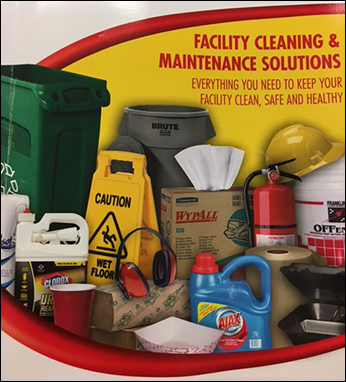 Why Outsource Your Janitorial Services? We strive to help our clients become green, or at the very least head in a greener direction. With the ever-increasing demand for greener facilities, green products and services have become far more affordable. LCS has invested a great deal into becoming a company that can provide every aspect of Green cleaning. We work with our vendors and belong to a number of organizations to insure that we are on the cutting edge of Green cleaning. We can also play a major role in your property attaining its LEED certification. LEED means Leadership in Energy and Environmental Design. It is the point system awarded to buildings that are built and/or operated with environmental responsibility in mind. LEED certified buildings benefit from government incentives, marketing possibilities and increased property values. LEED certification is a process that requires continuing education and we look forward to the possibility of working with you to fill your goals. 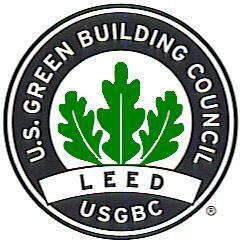 For those clients that don't intent to pursue LEED certification LCS can still implement a very effective Green program. For example, we use microfiber products whenever possible. A large portion of the equipment we use on site also meets the Green requirements. For example, the Pro-Team back pac vacuums we use to clean offices and common areas are Green Seal certified. We will work closely with you to insure your building is cleaned in the most effective Green methods possible. On average, Americans spend about 90 percent of their days indoors. EPA studies indicate that human exposure to air pollutants indoors can be 2-5 times higher than outdoor levels. Poor quality indoor air can produce some negative health effects. An important part of ensuring good indoor air quality is to combine building improvements with proper cleaning products and processes. Service delivery process; how to clean more "green"
We propose the use of high quality products made with a sensible amount of recycled material. These higher quality and better-performing products allow users to use less. Obviously, when fewer products are consumed then less waste heads to the landfill, which is a positive impact on the environment. Products that create less waste, require less packaging, dispense more effectively and last longer enable our customer to use less. Cleaning techniques that promote the most efficient use of products such as training on the proper amount of product to use and proper wiping motion for certain tasks. Cleaning techniques that promote the most efficient use of electricity such as working through areas and then closing the lights down in those areas and moving to another building section instead of having all the lights on throughout the facility for the entire shift. Proper training on supply usage such as when to replace paper products and liners as not to throw away usable product. For example, coreless toilet paper for office liners that may need empyting but not replacing when possible. LCS offers easy online ordering from hundreds of the best cleaning products available at competitive prices. View all of our products on-line.